There are three Henry VI plays. The First part of the Contention betwixt the two famous Houses of York and Lancaster, with the death of the good Duke Humphrey: And the banishment and death of the Duke of Suffolk, and the Tragical end of the proud Cardinal of Winchester, with the notable Rebellion of Jack Cade: And the Duke of York's first claim unto the Crown. The True Tragedy of Richard Duke of York, and the death of good King Henry the Sixth, with the Whole Contention between the two Houses Lancaster and York. Besides giving us a good idea of what these plays are really about, these original publications also gave us the overall title "The Contention" that we've been using for the whole history series. They might not have been written in order. They were extremely popular when they were written. 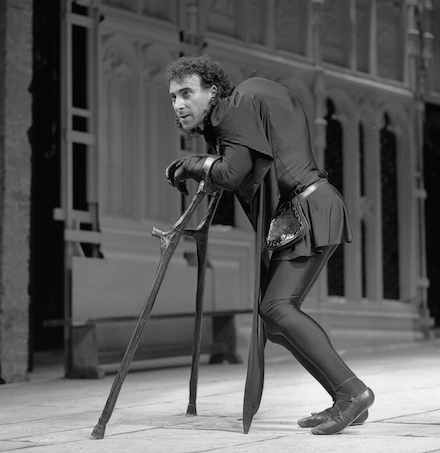 The very fact that there are three Henry VI plays is the best evidence of their popularity — multiple sequels and/or prequels would not have been generated if the plays were not successful on stage. Surviving theatrical records and multiple allusions to the plays also testify to their popularity. 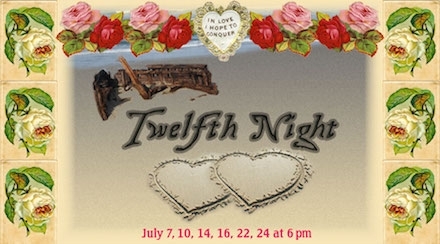 These plays were among the biggest, most ambitious, and most exciting plays that had ever appeared on the Elizabethan stage to that point, and they really established Shakespeare's career as a playwright. These were the plays that made his name. They cover 49 years of history. These three plays cover the whole period of Henry VI's reign, from the death of his father Henry V in 1422 — when Henry VI was only 9 months old — to Henry VI's death in the Tower after the battle of Tewksbury in 1471. 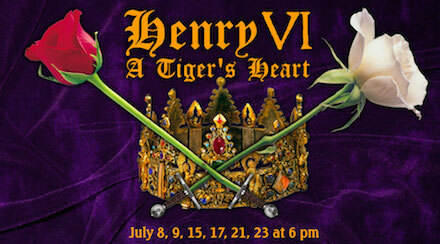 In preparing this production, we have chosen to draw on material from all three plays in an attempt to present the full sweep of events during Henry's reign. Obviously, we have had to cut and condense all this material a great deal to fit it into a single production, but we have worked hard to include all the crucial moments from the series — both to convey the epic scope of what happens in these three plays and to provide an effective link between the plays on either side of them in the history series (Henry V and Richard III). Joan of Arc is a character in them. Many people are surprised that Joan of Arc appears as the leader of the French forces fighting against the English in Part 1 — and they're even more surprised by the way she is portrayed in Shakespeare's play. Shakespeare was English, writing for the popular English stage, and Joan of Arc had been an enemy of England in the relatively recent past. So she's not depicted in the most flattering way in the play (although Shakespeare did manage a slightly more balanced presentation of her character than most of his contemporaries might have). 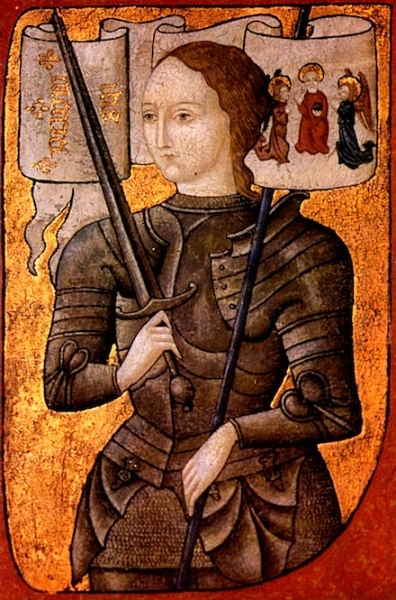 We have chosen to emphasize the more familiar view of Joan as inspired warrior-saint in our production, rather than presenting her as the promiscuous witch that satisfied the anti-French sentiments of Shakespeare's audience. Richard III makes his first appearance in them. The play Richard III follows Henry VI, Part 3 in the history sequence, but the character who eventually becomes Richard III makes his first appearance in Henry VI, Part 2 and becomes a major character in Henry VI, Part 3. It's fascinating to watch the character emerge and develop from play to play — from a sharp-tongued, hot-headed young warrior to the smooth, manipulative villain that is familiar from Richard III. They include the longest soliloquy in Shakespeare. At nearly 72 lines in the original text — although it's a good bit shorter in our version! — this soliloquy is spoken by the future Richard III in Act 3, Scene 2 of Henry VI, Part 3. This is the moment when Richard fully comes into his own as a character, expressing many of the same emotions, intentions, and personality traits as he does in the famous opening soliloquy of Richard III. For those familiar with that play, it's a thrilling moment to see this character spring to life in this way for the first time. They include one of the great female roles in Shakespeare, who is also one of only two characters to appear in four different plays. The only two characters to appear in four different Shakespeare plays are both women: Mistress Quickly in Henry IV, Parts 1 and 2, Henry V, and The Merry Wives of Windsor; and Queen Margaret in Henry VI, Parts 1, 2, and 3, and Richard III. Margaret is one of the great roles in all of Shakespeare: the daughter of a French earl who is captured in battle and rises to become Queen of England, a fierce fighter who leads the forces of Lancaster against the house of York when her husband, Henry VI, can't or won't. Along the way, she finds and loses the great love of her life, experiences personal and political triumph and tragedy, and becomes the primary nemesis for the future Richard III. They include more battles than any other plays by Shakespeare. Both Part 1 and Part 3 are, among other things, war plays. In Part 1 the English are trying to recover territories in France that had been won by Henry V and then lost when Joan of Arc rallied the French against the English. Part 3 depicts the civil war in England known as the Wars of the Roses, with the York and Lancaster dynasties battling for control of the throne. Both plays are chock-full of battle scenes. So while we have condensed and combined these battle sequences for this production, the amount of swordplay in this show is still spectacularly off the charts. They were far more sophisticated than any other English history plays that had been written up to that point. These were not the first plays to be written on English history, but Shakespeare was on another level in terms of understanding the processes of history and politics and translating them into dramatic form. These are not simplistic celebrations of English heroes, as most previous plays on English history had been. Shakespeare gives us real human beings with different personalities and conflicting goals, laying bare their motivations and the consequences of their actions with penetrating insight. The action and political maneuvering rush along at breakneck speed in this show, which ends at the very moment that Richard III — coming in February 2017! — will begin.